One quarter of New York’s population is foreign born, according to the U.S. Census Bureau. Half of all New Yorkers speak a language other than English at home, with a total of over 200 languages spoken in the city. Diversity can get challenging to be well-versed in; spreading cultural awareness is precisely what King’s own culture club, Celebramus Cultura, wants to accomplish. Celebramus Cultura is striving to start conversations on campus that encourage cultural awareness, linguistic understanding and help dissipate misconceptions. Each month, the club chooses at random a country to honor. King’s students and outside speakers of that nationality are invited to come speak about their culture. Art, history and etiquette are just some of the things the org explores during a “conventus”; dishes of the country’s origin are also featured for tasting. 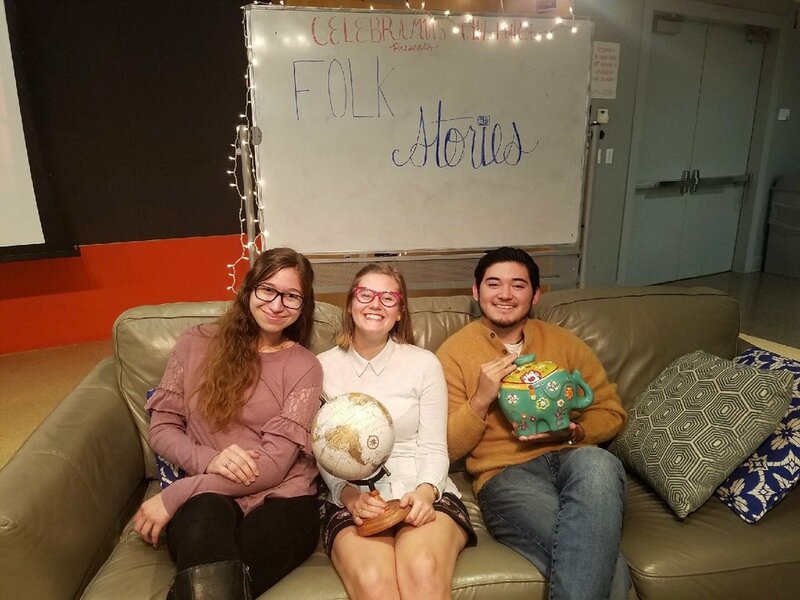 Founded by Politics, Philosophy, and Economics sophomore Holly Kemph in 2017, Celebramus Cultura takes its name from the Latin words for celebrating cultivation. “We’re all cultivated by different environments all around the world...We are called to be cultivators of the Word, as well as stewards, so it was perfect to convey who we are as a student org,” Kemph explained. The club hosts meetings both on and off campus to keep in touch with New York culture. In December, Celebramus Cultura featured Russia. I attended the on-campus conventus with a few other Russian King’s students, where we discussed cultural differences and our experiences living in America. A few days later, we headed to Brighton Beach for an authentic Russian lunch and grocery food tutorial. Besides food and history, Kemph believes that language is also a fundamental part of understanding culture. “A vocabulary one can conceptualize the world with is how they’re going to process,” she said. Language is a “vehicle” to understanding. Thus, Kemph organizes French and Spanish language groups as part of the org for those interested in learning. What’s more, the College Level Examination Program (CLEP) offers free courses to prepare for Spanish, French and German language exams that, if passed, can qualify as transferable open elective credits for King’s students. Celebramus Cultura hopes its language groups could help serve those interested in taking these exams for credit. Kemph has always been inspired by other cultures and by traveling, having done a gap year in France and spending last summer there again teaching English. Her freshman year at King’s, Kemph took Dr. Tharp’s Touchstone course, where she had to plan her four years at King’s. She knew she wanted to start an org that had to do with culture but didn’t think it would happen so soon. She was encouraged in her efforts by her house, Ten Boom, before branching out for support from houses Barton and Reagan. One past “conventus,” or meeting, included a progressive dinner and movie screening on campus housing with French and Israeli students in partnership with student org Dele. Others on the Celebramus Cultura team include MCA sophomore Marisa Recker, who handles social media, PPE junior Vice President Thomas Gatt, and Ten Boom advisor Danise Stokeld. “Being able to talk about other cultures and celebrate other cultures is so important for human beings to relate to each other and love each other well,” Recker said. Celebramus Cultura is a way to “open up our eyes” to the rest of the world and learn from it to best know how to do that. Celebramus Cultura will host an informational meeting on January 24 at 12:15 p.m. in room 633. The Poland conventus will be held on January 30 at 7 p.m. in room 633.